Summers are magical, right? School is out, the days are long, and free time abounds. Yet after a month or so, boredom sets in, and kids and the couch start to become inseparable. Glued to smartphones while binging on Netflix, or just mindlessly mashing buttons as they play video games for hours on end. If only there was a way for kids to design video games instead of just playing them. Or an opportunity to create the next big app rather than being sucked into someone else’s. Good news—that’s where summer camps come in. The good news is, with today’s overabundance of camps, there’s literally a type of camp for every child. On the flip side, with so many options, choosing can make you feel a lot like Goldilocks on the hunt for a camp that’s just right. Here are seven tips on how to make the summer camp selection process a little more manageable—sending your brood on their merry way to months of that so called summer magic. (And when you've found the perfect option, here are summer camp tips to help kids make the most of their experiences. Before you can pick the right summer camp, you need to first define “right;” and you do so by setting expectations. Start by asking one simple question—what do you want your children to gain from their experience? You send them to school so they can get smarter, and off to baseball practice so they can become a better hitter or pitcher. Sending them to camp shouldn’t be any different. Want your daughter to meet new friends with similar interests? 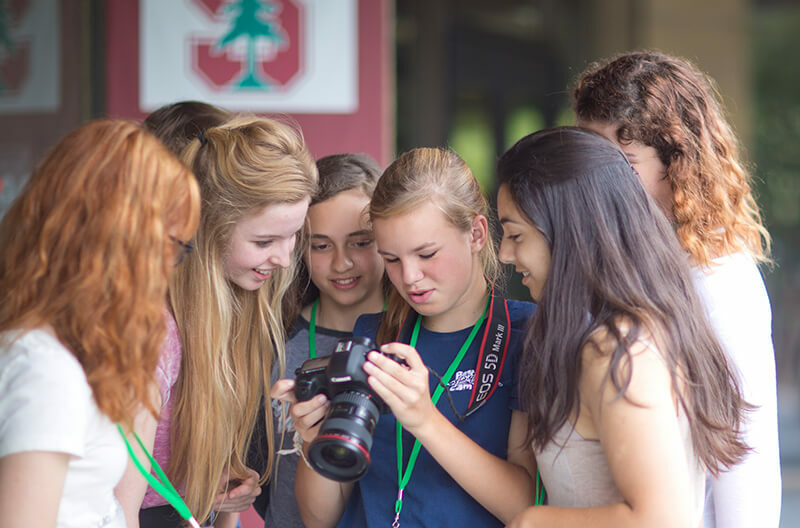 Try a niche all-girls camp in a subject she loves. Looking to keep your son thinking throughout the summer months? With a commonsense balance of indoor and outdoor activities, an academic camp will keep him intellectually stimulated. In carrying out your camp conversations, don’t forget to cater the discussion to your audience. Tweens and teens for instance might immediately shut down at the mere uttering of “summer camp.” But, maybe they’d be interested in a pre-college summer program, or a sports academy with like-minded peers? The goal is to get kids excited about summer by finding programs that speak to their current interests. By starting the process with you and your child on the same page and speaking the same language, you’re more likely to find a camp you both love. 2. Select the right genre. Once you’ve established what you’re hoping to gain from camp, it’s time to narrow down the types of programs that can meet those needs. Traditional: Think back to your own summer camp experiences; bunks, campfires, archery; these co-ed and single-gender camps build self-confidence and character in a traditional outdoor setting. Academic: Your kids can keep learning even when school’s out. 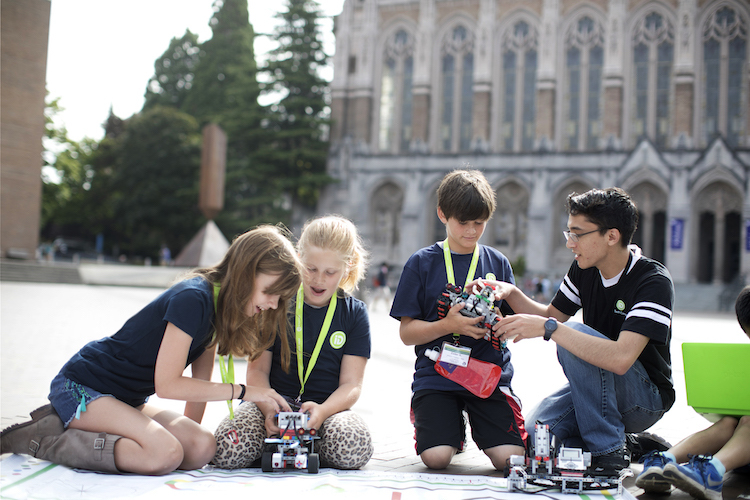 Academic camps like iD Tech provide a fun balance of hands-on education and upbeat extracurricular activities. The best part is, such camps revolve around topics most schools don’t or can’t teach, with skill-building in in-demand and lucrative course areas. Bonus Hint: Academic camps are a great way to supplement education for students who don’t like traditional instruction. Academic camps give students the chance to focus on one particular academic activity or skill and develop it over the length of the camp session. Many camps provide math, language arts, theater, photography or computer-focused areas of study. Cost can vary widely depending on materials used and length of camp. Art: Art camps offer students the chance to explore their artistic interests in a group setting outside of school. Kids sometimes focus on painting, drawing, or the visual arts, while other camps provide the opportunity to learn more about computer-based design and 3D printing. Adventure: Fun, engaging, and high-energy—these camps are great for exploring new experiences. Think of it like a traditional outdoor camp, but with a specialized expedition or exploratory component. Athletic: Athletic camps are perfect for sporty kids who are looking to learn new skills during summer. And, sports camps are great for kids and teens who want an outdoor camp experience at the same time! Special Needs: These camps create a summer camp environment for students who, due to physical, mental, or emotional challenges, might not have the option to attend typical summer camps or activities. Camper-to-staff ratios are lower to provide individual attention and create an environment that is comfortable and tailored to the campers’ needs. 3. Decide on day camps or overnight camps. Depending on your child’s age and comfort-level with being away from home, day camps can provide the opportunity for kids and teens to socialize, learn new skills, or play sports, minus the overnight commitment. Overnight camps (also called sleepaway or residential camps) provide much of the same, with the key difference being kids sleep at camp, and don’t return until the camp’s completion, whether that’s a week or a month, etc. Such experiences give students a taste of independence in a supervised setting, and are a great option for students who are comfortable being away from home for longer periods of time. 4. Consider camp setting and experience. Some academic, sports, arts, and technology camps team up with universities to provide programs in a collegiate environment. Students meet in the university labs, eat in the dining halls, tour campus, and enjoy recreational time in university facilities. Plus, overnight campers even stay right in the college dorms on campus. Such a setting provides a much different experience and outcome than one that might take place at the local park or elementary school. Each have their pros and cons, and it’s up to you to determine which is right for your child and the expectations you set all the way back at step one! For instance, iD Tech chooses to hold its camps primarily at prestigious university locations. By doing so, younger students are exposed to a college setting and begin thinking about their future at a young age. Teen students get the chance to explore a college campus that they may aspire to attend before applying or committing. Parents also find this choice enticing as college tours and activities on or near campus give students the chance to explore while learning! 5. Find instructors your kids will adore. In the same way that a stellar teacher can turn a boring subject into something magical, the right summer camp instructor will make your child’s camp experience unforgettable. What makes a good camp instructor? To start, they should be passionate about teaching kids. We’ve all seen the instructors who are attached to their smartphones; that’s not who you want supervising your children. Instead, instructors should be fun, upbeat, and both passionate and knowledgeable about the subjects they’re teaching. Determining the quality of instructors before attending camp is difficult, but doable. Many camps provide an instructor section on their website, explaining the various qualifications they require from potential instructors. They might even offer instructor profiles, blog posts dedicated to interviews with staff, or other in-depth editorials. You can also look for first-hand accounts of the instructors by reading student and parent reviews, or even call the camps and ask if they provide parent references, so you can talk to other parents about their experiences. Last, look for low student-to-instructor ratios (no more than 10 campers per teacher) and be sure your that your camp runs background checks on all instructors. Safety first! 6. Determine your budget based on your desired outcome for your child. Think of camp as an investment. Kids and teens gain so much by attending summer camp. They build self-confidence, meet new friends, and gain independence in an inspiring setting. Sure, some camps are expensive, but when you look at the lengthy list of short-term and long-term benefits, you’ll realize they’re almost always worth the cost. Also, keep in mind that cost is typically reflective of all that goes into camp, and could be correlated with what your kid will get out of it. Some sports camps for instance might be relatively cheaper given the fact that they might only need equipment and an open field in order to run camp. Tech camps on the other hand might be more expensive given the type of hardware and software required for a complete learning experience. And don’t forget to determine what’s included in the final price of camp, since most added benefits can bump up your total cost. Does the camp provide lunch? Offer early pick-up and drop-off? Make sure you’re paying for the things that are most important to you and your family. Last, look for discounts. Many camps offer year-round multi-week and sibling discounts, along with seasonal savings. Contact the camp directly - and early - to see how you can save. 7. Don’t be afraid to research. A lot. By registering for camp, you’re investing time and trust into the summer camp provider, and you’ll undoubtedly have questions. So don’t be afraid to research, research, research, to ensure you make the correct decision. Here are 102 summer camp questions to get you started. Luckily, there are many ways to learn more about camps that catch your kid’s interest. You can attend a local camp fair, browse websites, take a tour of the camp facilities, read customer reviews, or discuss the programs and courses with a service rep.
You can even tap into your own social group for suggestions. Ask around and see where other friends have sent their kids to camp. A personal recommendation is often a great indicator of what your student’s experience will be like. Plus, kids always have a great time when they get to attend camp with a few friends. 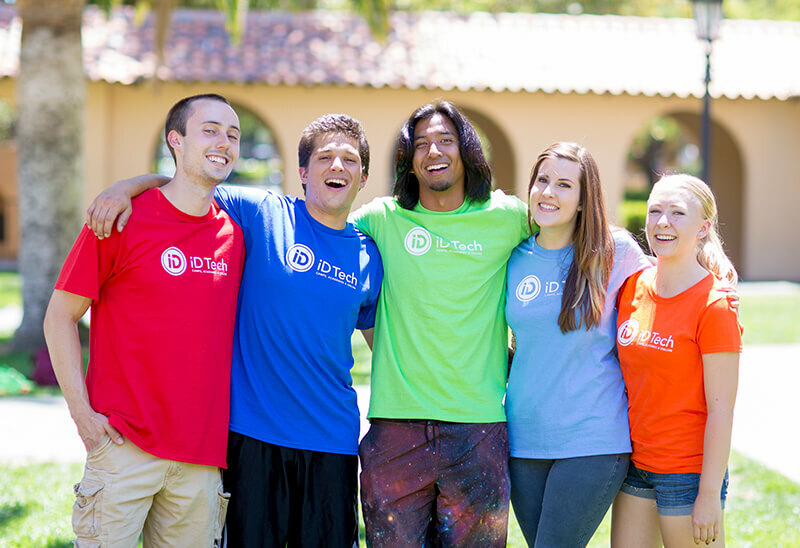 At iD Tech, we designed our summer camps with your kids’ creativity in mind. That’s why we hire awesome, tech-savvy camp instructors and provide a commonsense balance of indoor and outdoor camp activities. Our hands-on courses are taught in small groups of just 5-10 students per instructor on average, so your kids will receive personalized instruction, whatever their skill level. There’s never been a better time (or place!) to meet new friends, learn awesome tech skills, and have a blast. Check out our summer programs for kids and teen summer camps, or give our Camp Specialists a call at 1-888-709-8324 for help selecting the perfect course or location.